Prologue: I do not know what I am about to write. In less than one week I will be in Saas-Fee, Switzerland in the midst of a thousand novel things. 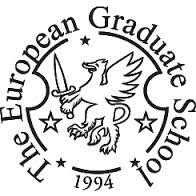 I am going as a participant in the European Graduate School’s PhD in Philosophy, Art & Critical Thought program, studying with 15 or so others, guided by Simon Critchley, Giorgio Agamben, Christopher Fynsk, Boris Groys, and Luc Tuymans, et. al. 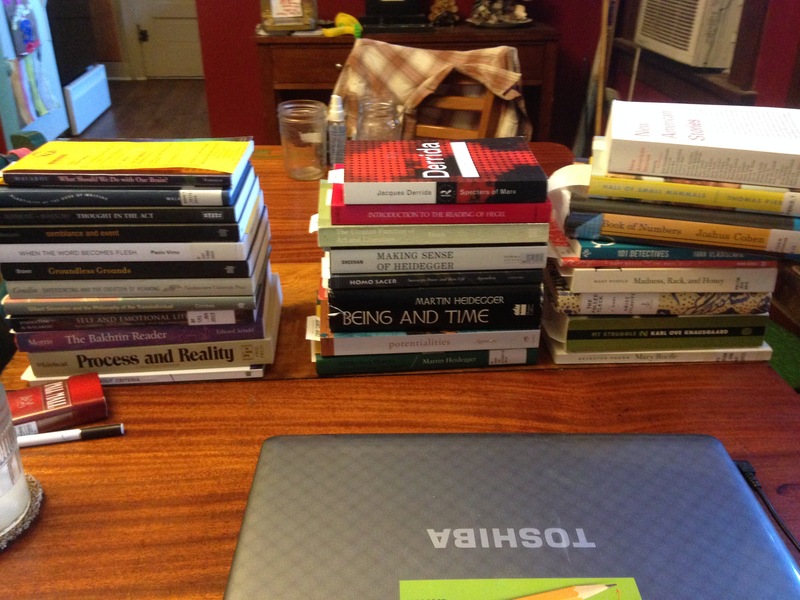 working my way through the bulk of Agamben’s corpus, Heidegger, Hegel, Kojeve, Derrida, Brecht, Benjamin, Nietzsche, Deleuze & Guattari, Spinoza, and columns of secondary literature. I do not know what to expect. I expect small seminars of conversation and dialogue, led by persons tattooed on my arms – persons I “assume”? “understand”? are paid to think – employment I would SO love to land – to experience & think, inquire & think, research & think, & report. Perhaps? So we’ll gather for 6 to 9 hours a day (or more) – discuss principal thoughts/texts/events of human thought-about human thought-about human being-experience…and…? Walk in the mountains – Nietzsche claimed his thoughts would only be possible up here. Sleep. Read. Think. I really don’t know. It’s been the first time in my life (I can remember) in which the hours of reading I’ve poured into this have actually eventuated in headaches. Distinguishing terminologies and concepts. Following trails of thought. Engaging them. Responding to them. Add to the above William James, A.N. Whitehead, Eugene Gendlin, Mikhail Bakhtin, Ludwig Wittgenstein, Steven Shaviro, Brian Massumi, Gilbert Simondon – my own favorite philosophical corpus – to construct conversations, critiques, and alternate points of view through. To think-through-with. And still with thousands of pages to go. 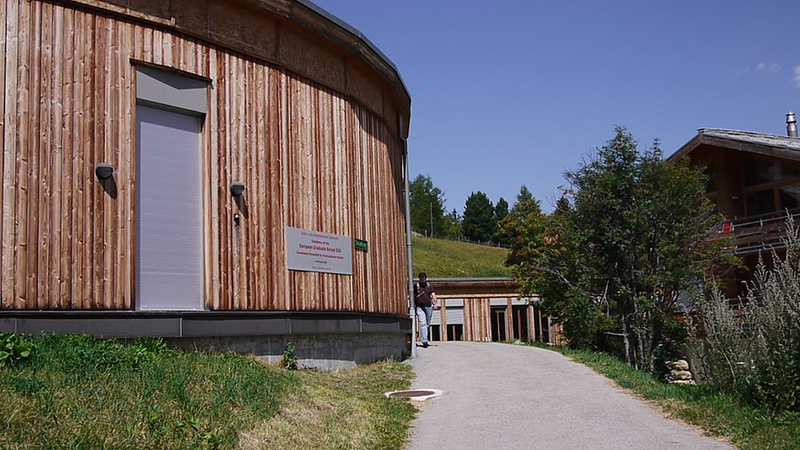 Here the classrooms and buildings. Mountains and trees. Novel, novel, novel. The minds I’ll encounter. Novel. From all over the world, perspectives, perceptions, reflections, opinions, resources, references, practices, habits…novel. And mostly (always?) I still simply want to write. As my mindbody gestates and swells with new jargon and lingo, concepts and theories, voices and styles, there are many moments of cluster, confusion, conjoining and merger. Thoughts disarrayed. Set loose from their sources and synapted to knots and knobs of my own kernels of thought & experience. A pregnant field. A chaos. I will need to walk. Need to sleep. i lose my bearings. I sense similarities, ties. Tangles and diversions. is what I have written at the beginning of my notebook for the journey. What are you talking about & how? written just underneath. Wittgenstein. Whitehead. Bakhtin. James. What we experience together alters everything we bring. When we dialogue occasions occur, events happen. When we encounter and meet. Interaction. Action and process take place, differentiated, by Other. From another pile: Knausgaard, Mary Ruefle, William Bronk, Wallace Stevens. Ivan Vladislavic, Ben Marcus, David Foster Wallace, Joshua Cohen. In my readings – Valery, Rilke, Holderlin. Blanchot, Kafka, Beckett. What I expect is that “something is doing.” Activity is going-on. We/I will be being-with and being-in. There will be convergence, dissonance, emergence and change. To the mountains then. To think. To learn. To live. To be-with and be-in. Sounds very interesting. Enjoy Switzerland! Thank you John. I’m quite nervous & also honored & ecstatic. The multiplicities of life! How interesting that would be! His name? I can ask about when I am there…I would feel exponentially honored if that turned out to be the case! Summer. I most often feel like an accident (as always), also as if perhaps I will encounter a company (always a wish), and…once in a bit, that I might have something idiosyncratic yet significant to offer (the dream-remote-delusion of me). There is an “art” side and a “philosophy” side to these graduate programs. Follow the links and please let me know if you think I am following in your precious mentor’s steps. I truly would be humbled and (if possible) more gravely honored to be journeying along these paths…. Wander wonderfully. The twittering of sparrows all saying the same in a thousand happy voices. Each tree translating the wind. And the mountains, the mountains saying nothing at all, filling the void with it, a most eloquent fracture of space. How wonderful, Nathan. An enriching (and rich) experience to be sure. I look forward to your upcoming writing during/after this experience. I can’t help but wonder if you’ll ever return. But then, this is how I feel any time I take a solitary walk through the woods. What is it about the mountains that inspire so?